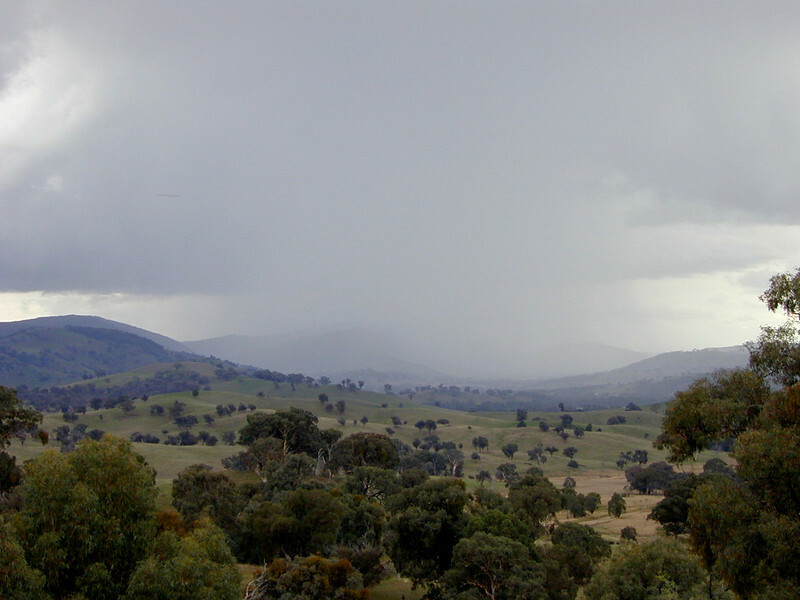 Storm sweeping up the valley from the direction of Wyangala. If you look carefully you can see a strange cigar-shaped object in the cloud about a quarter of the way in from the left hand edge of the picture. I didn't notice anything unusual at the time, and it doesn't appear in any of the other photographs I took within seconds of this one. It might be dust on the lens... or it might just be a UFO.